New Years plans always seem to be a bit last minute. My husband and I had originally thought the two of us would go out for dinner and have a night out with just us. However when an invitation from friends came up for a night in at their place, we happily made a change of plans. We had a great NYE with a big dinner, yummy wine, games, and tons of laughs. The best part is that we were only a few blocks from home so no cab crisis for us. I ended up wearing a more casual dark green H&M dress with tights and a cozy sweater. I was so comfy. It was the perfect outfit for a big meal and a relaxed night in. Since I didn’t wear the outfit I originally planned to wear, I thought I’d take some pics of it. I love pretty dresses but I’m always fearful of looking too girly. 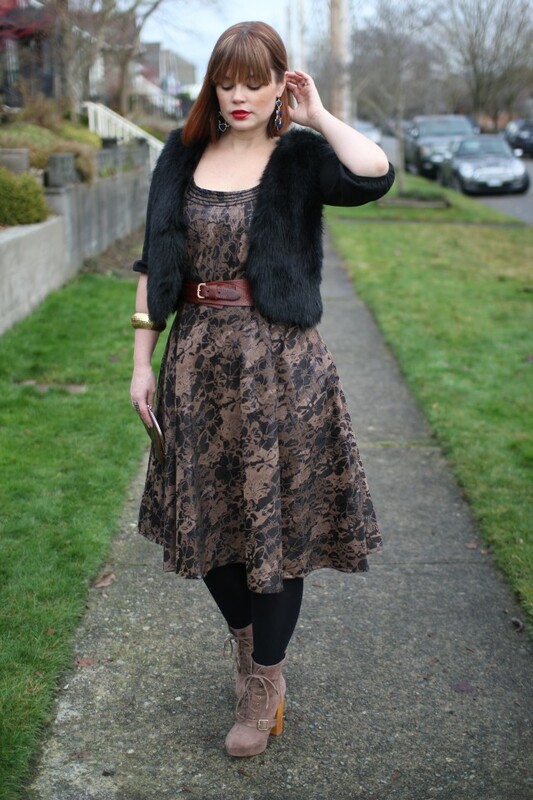 This EShakti dress has a beautiful feminine silhouette but by adding elements like a leather belt, a faux fur vest, and chunky ankle boots I’m able to add just a bit of edge. That out fit is stunning! 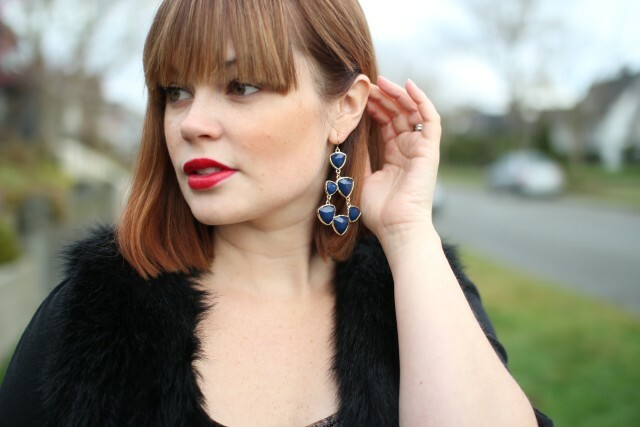 I keep putting off buying the ever popular fur vest, but once again I can’t keep my eyes off of it! This look is absolutely stunning! I love the pattern of your dress and the addition of the fur vest is so chic!